Just one village of Tchaho people live in the Gnot-Ou District of Phongsali Province, in the extreme north of the country near the China border. 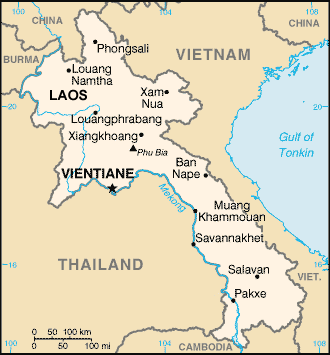 According to the 1995 census, a total of 24,253 people lived in the Gnot-Ou District, an average of 7.4 people per household, making it an area with one of the highest birth rates in Laos. Even in other districts within the same province birthrates are much lower. 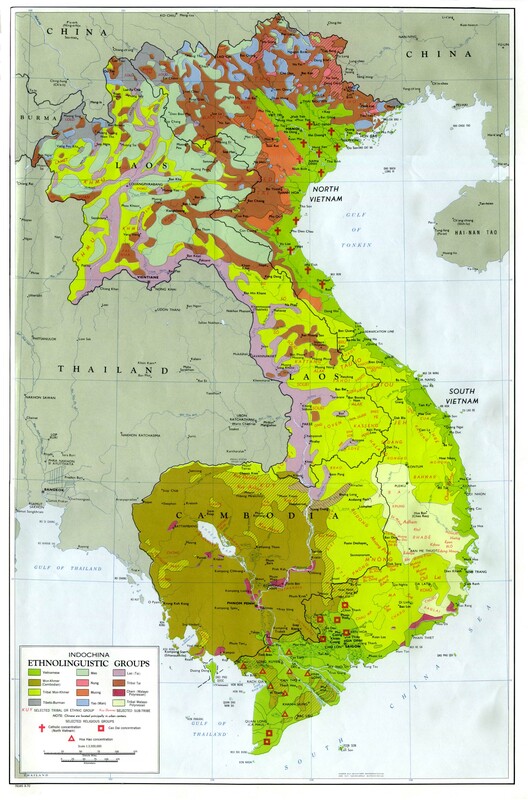 Phongsali District has an average family size of 5.6 people, Khoua District 5.8 people, and the Boun-Tai and Boun-Nua districts 5.9 inhabitants per household. The Tchaho are a Mon-Khmer speaking group. 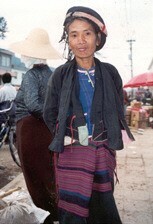 They claim to have migrated into Laos from China, but there is no record of a similarly-named ethnic group in China today. Animism, with elements of shamanism, is the religion of the Tchaho. Buddhism has made no impact on them. In the past, shamans, or spirit priests lived in most villages. The shamans often took advantage of the fears of the people, demanding high payment and animal sacrifices for their services that sometimes plunged a family in debt for generations. An early missionary summarized the effects shamanism had on common people.... "This belief in witchcraft is often used by the ruling class to forward selfish interests or to wreak their vengeance upon an offending family, thus taking an unfair advantage through the aid of a superstition that they themselves believe in. The awful shadow cast over Laos life by these superstitions is simply indescribable. The people are religiously like frightened children in the dark. They call and cry to one another, but are only the more frightened by the sounds and echoes of one another's voices, and in their groupings they start and scream as they touch one another, deeming it a devil instead of a friend. They stumble, they reel to and fro, they fall and cry out in a death agony that they would rather abide in the present known evil than to be launched into the future unknown." Trapped by inward fears and superstitions that they believe too strong to oppose, the Tchaho remain ignorant of the freedom and light that faith in Christ can bring. None have reportedly believed the Gospel. * Pray for an open road for the advance of the gospel. * Ask God to send laborers to reach the Tchaho soon. * Pray that God's Kingdom would come among the small yet desperately needy Tchaho tribe. * Pray for Gospel messages to become available in audio format for this people group.View Tchaho in all countries. Location in Country: Phongsali province, Gnot-Ou district.